Welcome to the GFO Digital Manuscript Collections, a volunteer-led project established in late 2012. 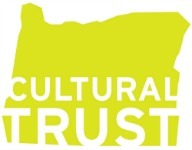 As our Manuscript Committee continues to add finding aids and digital images from over 100 unique collections of personal and family genealogical research material, the content of this website will continue to grow. Each month, additional details about newly scanned collections and their finding aids, summaries, and biographical information will be featured under the Recent Additions page of this website. Fully digitized collections are available for viewing and research at the GFO Library (please ask at the Reference Desk) and can be found via our online OPALS catalog. Finding aids and collection descriptions are available under the Collections List to the left. Each finding aid includes collection summaries, biographical notes, surnames, dates and locations lists. Digital versions of each collection can be requested by using the Ordering & Pricing link under Navigation or within the finding aids. Related items can be found by searching the GFO online catalog. 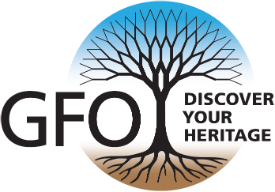 How to become a GFO member, as well as volunteer opportunities, can be accessed by visiting the Membership link under the Navigation menu. Our Donations Policy is also available for anyone interested in donating their family or genealogical research to the GFO Manuscript Collections.